When you have expensive camera equipment, the last thing you want to do is just throw it all in a bag without any kind of protection. If you don't want to buy a separate bag, you can always use an insert, but they can get pretty pricey, too. 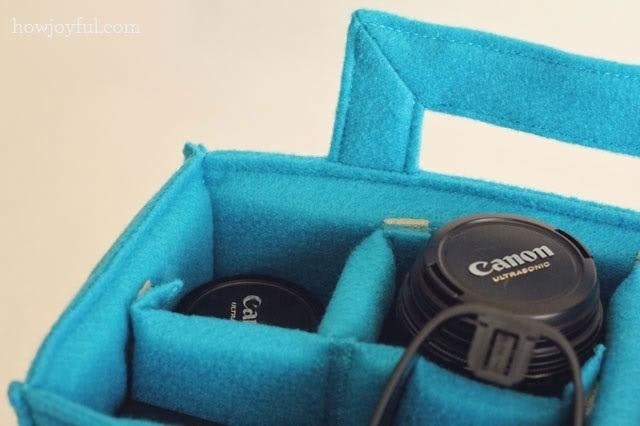 This tutorial by Joy of design blog How Joyful will show you how to make your own insert so you can protect your stuff (and switch bags anytime you want) with some felt, a few pieces of foam and Velcro, and some basic sewing skills. 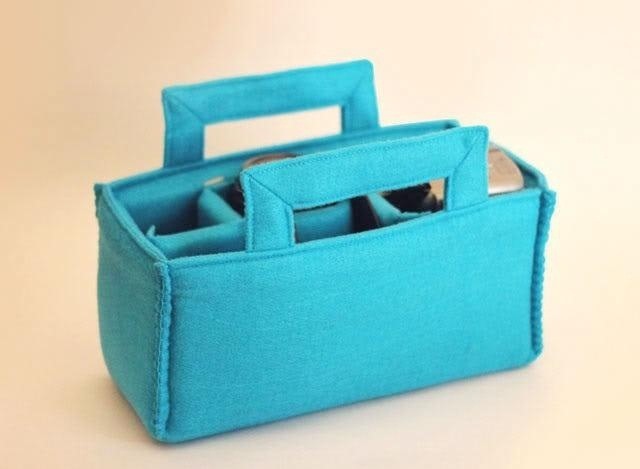 I know not a lot of people are doing much sewing these days, but if you have a sewing machine, this project will definitely save you some cash. Plus, it would be super easy to customize by using different material. Want a more rugged look? Use canvas instead of felt. Prefer something sleeker? Try ballistic nylon. If you want to make your own, check out Joy's blog for instructions and step-by-step photos. Need to brush up on your sewing skills first? One of our tutorials will get you up and running.